I was so excited to see so many wonderful free resources on Earth Day that I wanted to make sure to share them with all of you. It seems that Earth Day becomes more and more important to teach about how each and everyone of us can do something to help our earth. Let's start with Scholastic. If you click on the picture below you will find lots of free printables, lesson plans, math, and writing activities and so much more. Hope you find something you like. Next on the list was at Royal Baloo. There are packets for Pre-K through 2nd grade. You do not want to miss these wonderful free packets so click on the picture below to access this website. At the Holiday Zone you will find find links to Arts and Craft projects, Classroom Activities, Songs, Writing Topics, Discussion Questions, and Free printables. To access all these links just click on the picture below. How about some wonderful crafts for Earth Day? There are 20 fantastic ones at "No Time For Flash Cards" to check out. Just click below. They really look great. 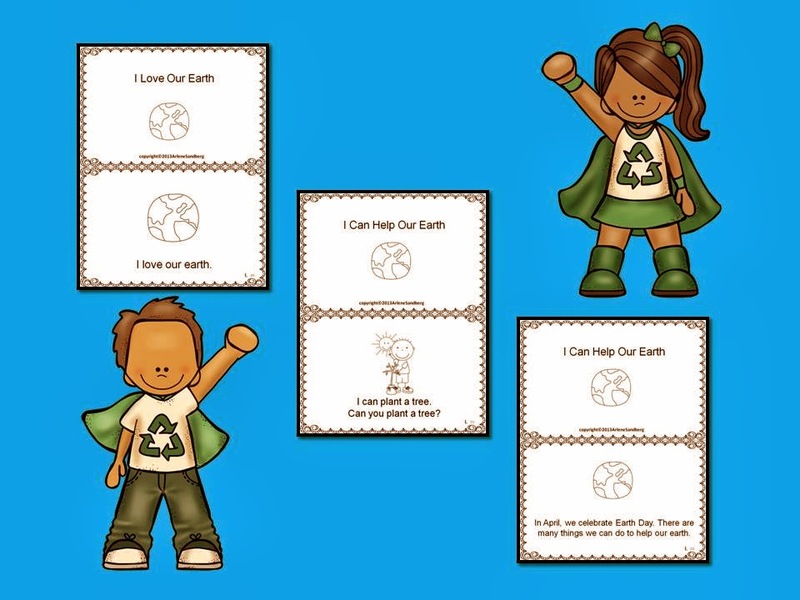 You can also check out my all new and revised K-1 Packet called "I Can Help the Earth." It has a wonderful Shared Reading Book called "Why Do We Need Earth Day?" There is a Word Wall, Picture/Word Cards and Activities, Writing Activities, and a fun Chant. I hope you will click on the picture below and download the Preview file to see sample pages of all the differentiated reading and writing activities in the packet. To go with my Earth Day packet I made an Earth Day Edition of Roll the Die and Read to give students more practice at becoming fluent with the words, phrases and sentences they will see in the Make and Take books. Here is a sample. You can download your free Earth Day: Roll the Die and Read Packet by clicking on the picture below. Hope you find lots of great materials to use with your students on Earth Day and all week long. Don't forget to check out all my Pinterest Boards by clicking HERE. Hope you will follow. What activities do you like to do with your students on Earth Day? This is almost better than Earth Day! I'm your newest follower! Stop by anytime! Thanks for sharing all the ideas and links! There are some great picks listed here! Thanks for always searching out and sharing the best resources, Arlene!